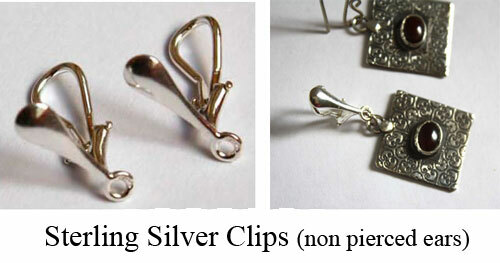 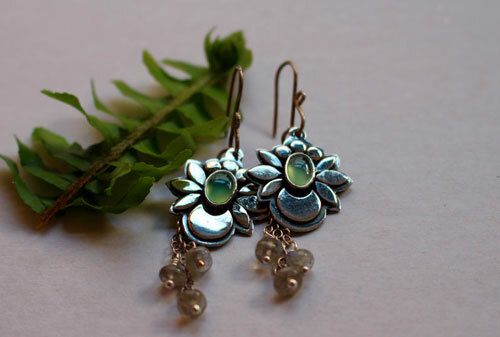 Water moon is a pair of sterling silver earrings made on the flower theme. 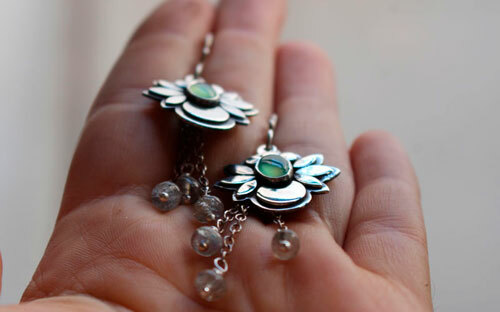 Tiny silver petals surround two pastel green chrysoprase cabochons. 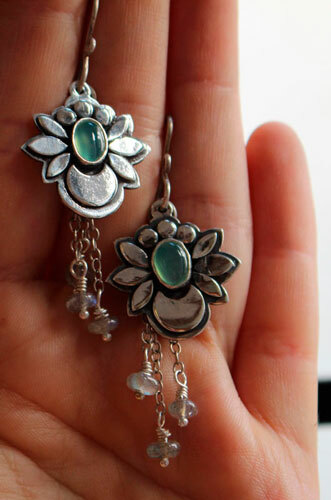 A sleeping moon comes to complete this painting. 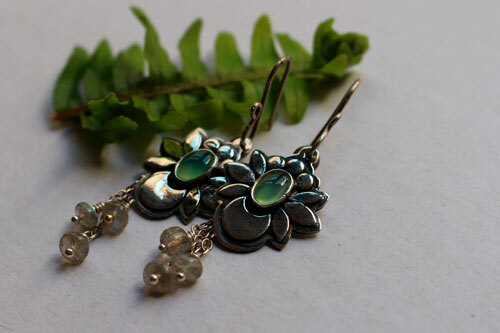 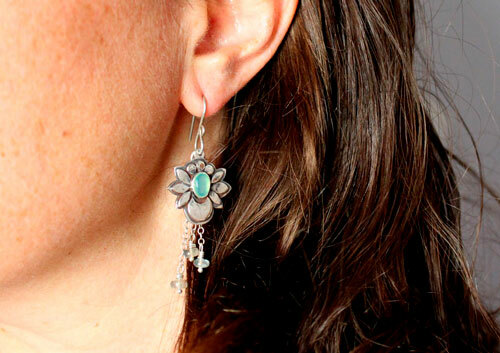 Under this little moon, tiny labradorite beads will slightly swing below your ears. 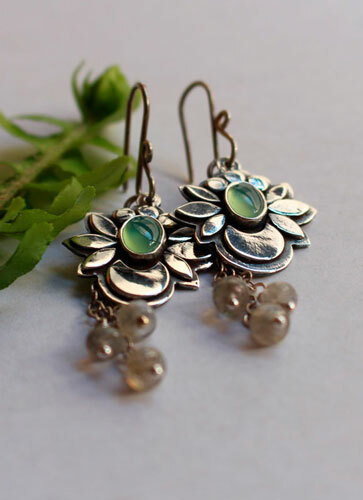 Length: asymmetrical earrings (5.6 cm and 5.8 cm) due to the artisan handmade nature of the creation and the free form cabochons. 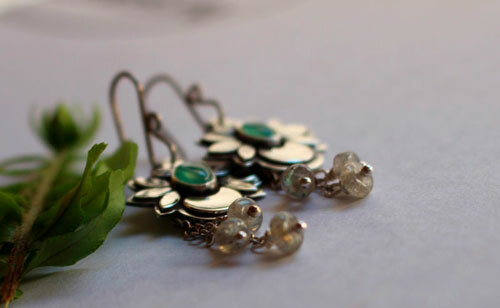 Tag: earrings, sterling silver, flower, chrysoprase, cabochon, green, labradorite, blue, gray, cabochon, stone, oxidized, plant, botanic, botanical, vegetal, spirit, freedom, liberty, boho, romantic, engagement, baptism, anniversary, birthday woman gift.